In 1st Quarter Last Year (2014), the real estate market (nationally and locally) experienced a dip! Coming off of a HOT 2013 market, everyone was a little shocked (including me)! It could have been the extreme winter that kept homebuyers from pulling the trigger. Remember Snowmaggaden 2014! Or, it could have just been an unexplainable blip in the radar. Whatever it was, 2014 turned out to be a great year for the U.S. housing market as 4.93 million homes were sold while national home prices appreciated by 5.8%. Not to mention, interest rates remained at historic lows making housing affordable! So, you’re wondering… How does January 2014 compare to January 2015? All in all, January was a great month! 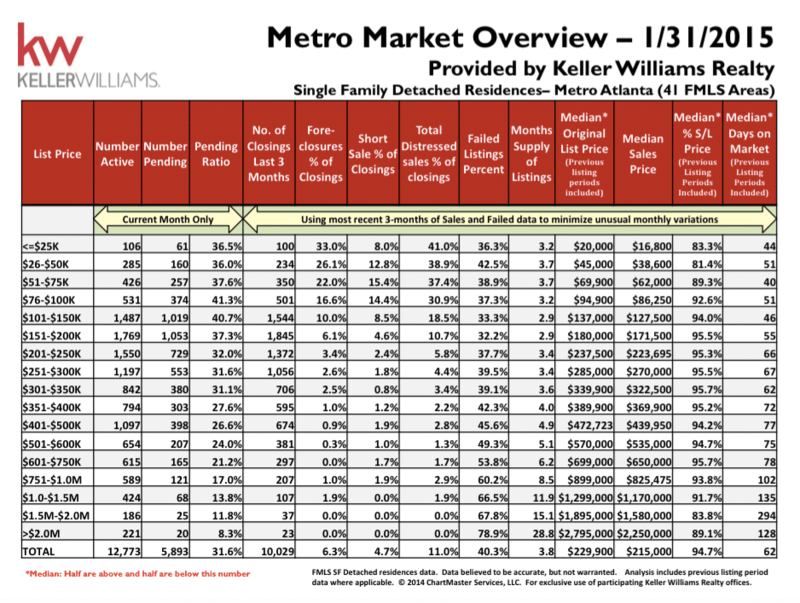 12,773 Metro Atlanta homes sold and prices were on the rise! At The Peters Company, we experienced the exact same thing! We sold more homes and took more listings in January than we did in January 2014!